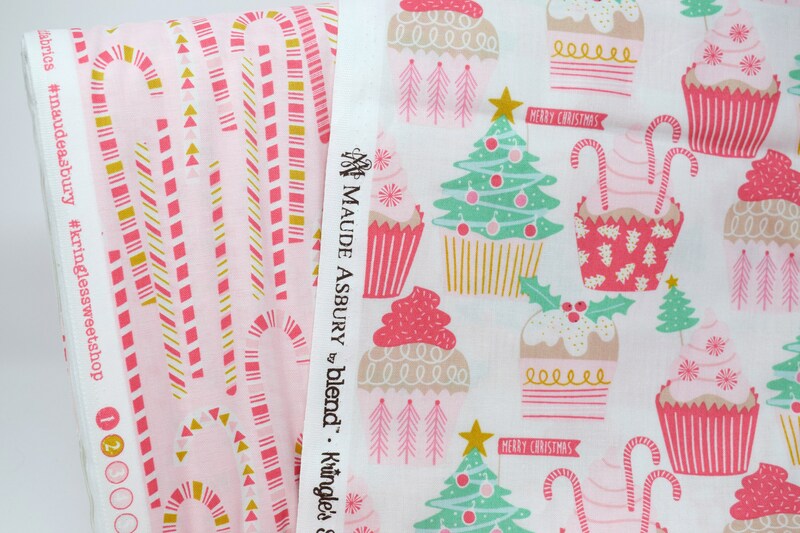 Kringle’s sweet shop Christmas print cotton by Maude Asbury for Blend fabrics. 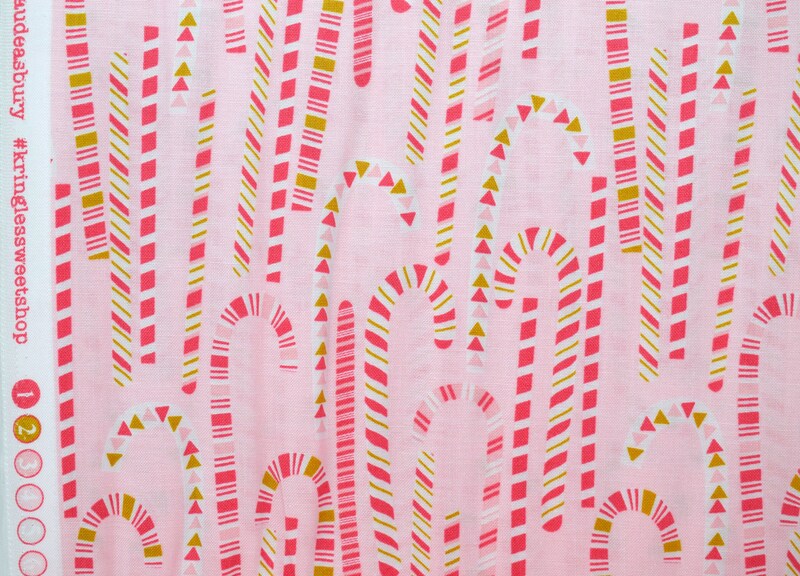 Candy cane forest pink printed fabric. 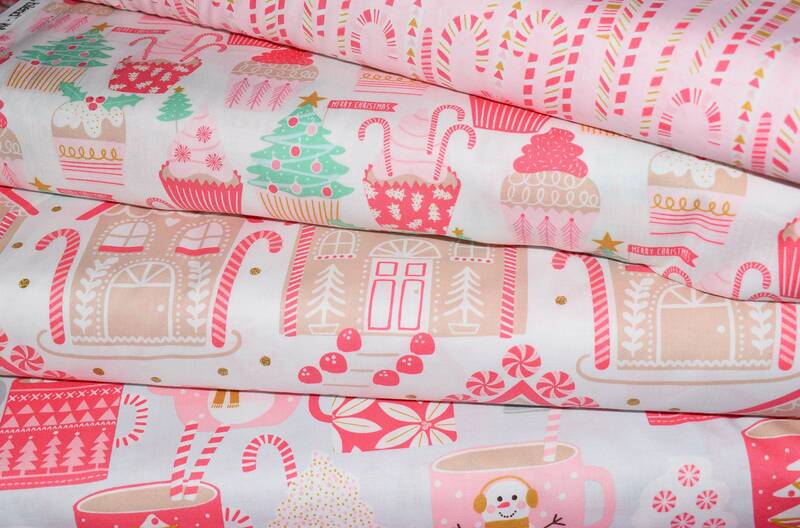 This gorgeous Christmas fabric is 100% cotton with an pink base. 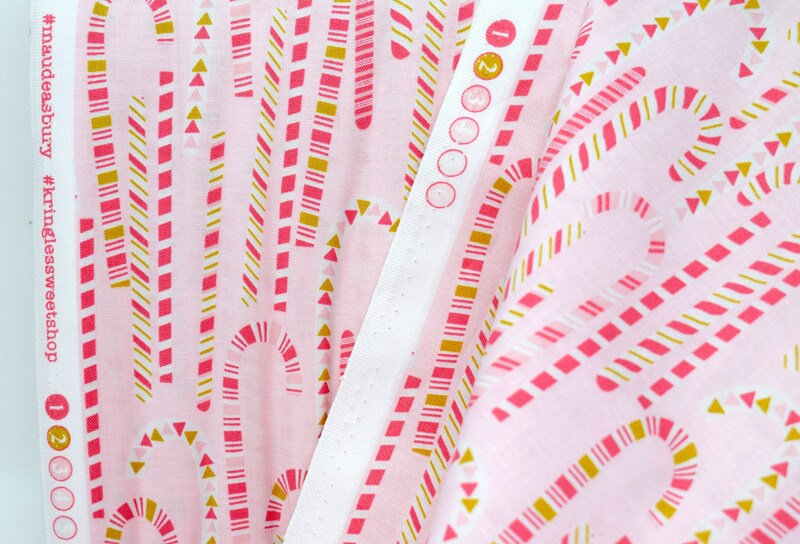 The print features festive candy canes with stunning geometric detailing. This fabric is 44 inches wide. 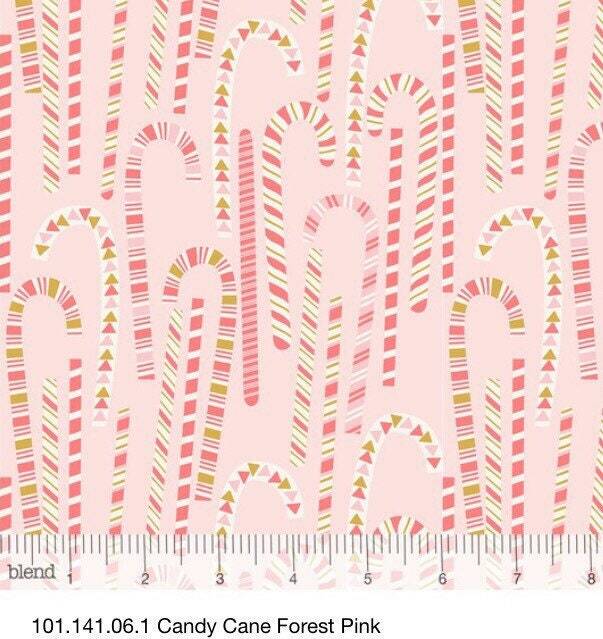 The candy canes are approx 9cm tall. 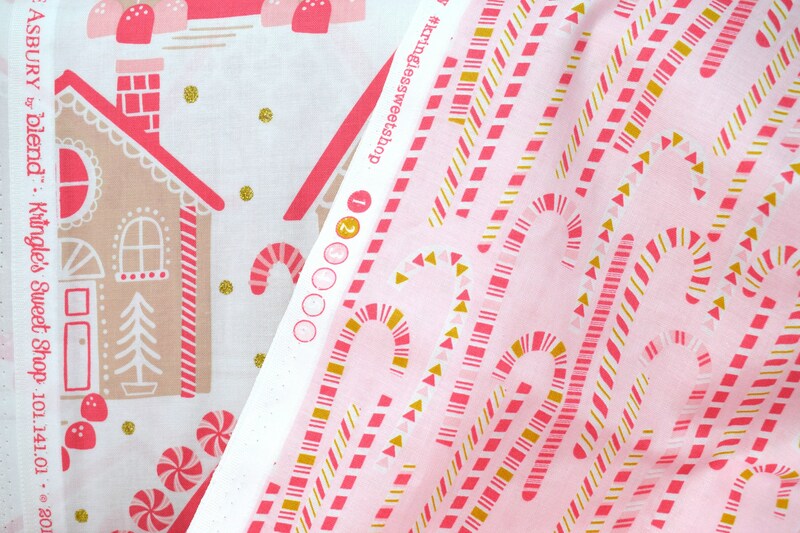 Get in the holiday spirit with this beautiful cotton fabric. 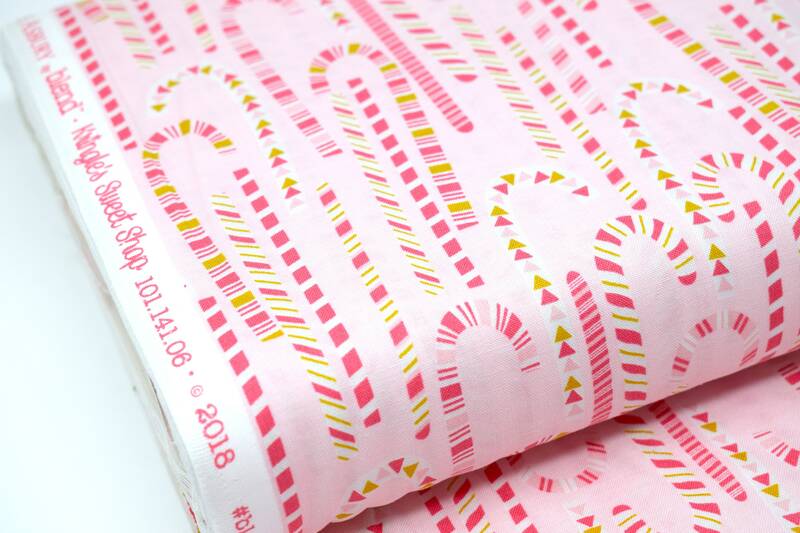 This quilters cotton is perfect for patchwork and other craft projects. It’s also great for children’swear. 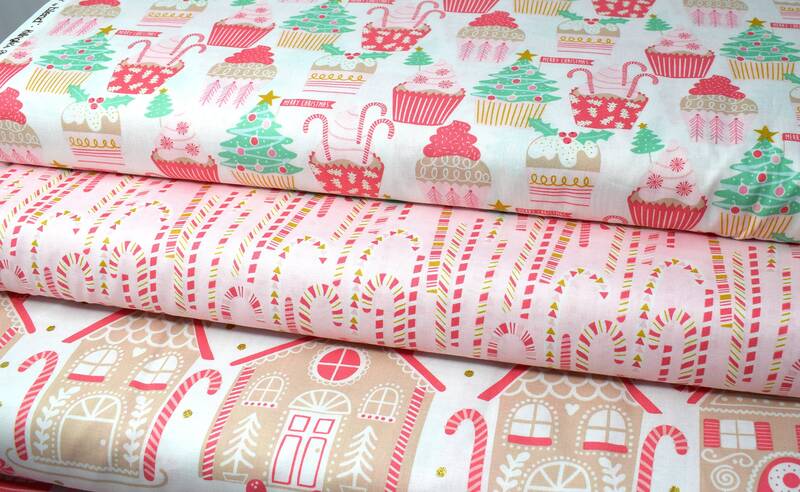 There are matching printed and plain fabrics in this range. If you need any help selecting a companion fabric please get in touch! 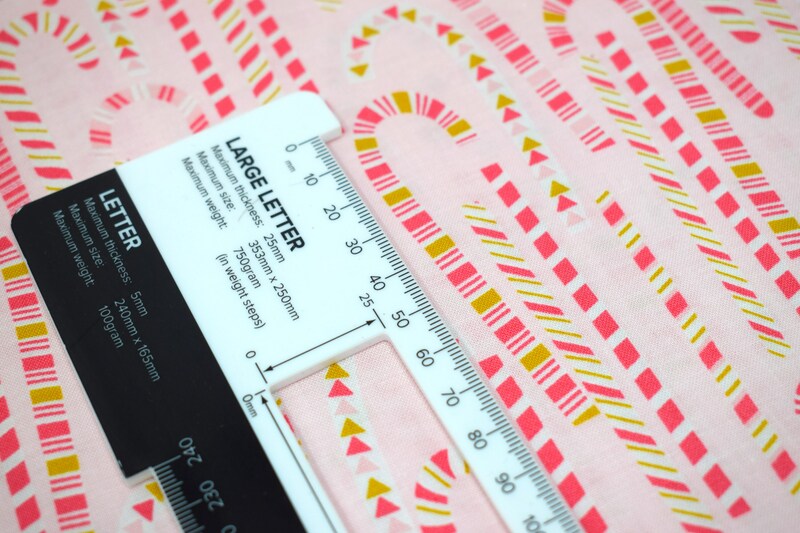 Studio Jepson fabrics are sold by the metre or half metre but if you would like a different amount please get in touch to request a custom order. Orders of 1 metre or more will be cut in one continuous length. All Studio Jepson fabrics are stored in a pet and smoke free building and the utmost care is taken to package them beautifully. 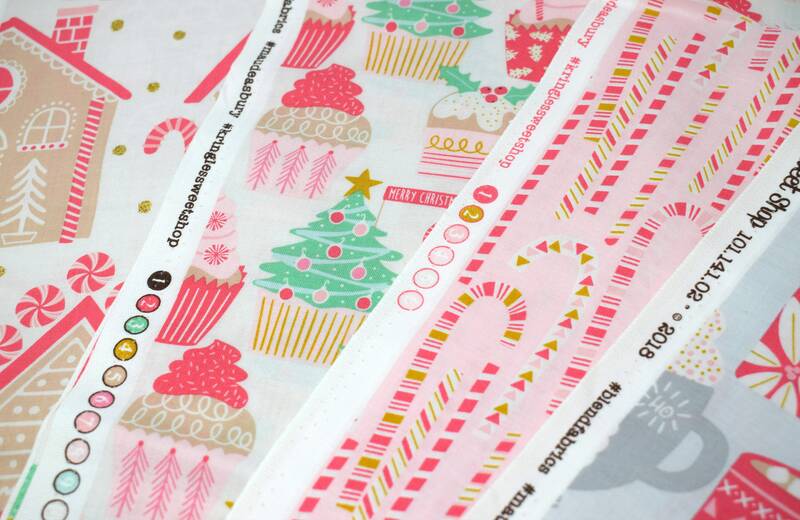 Each order is wrapped in premium quality white tissue paper and sealed with a pretty sticker. The order is then packaged in a colourful polymailer with calligraphy.